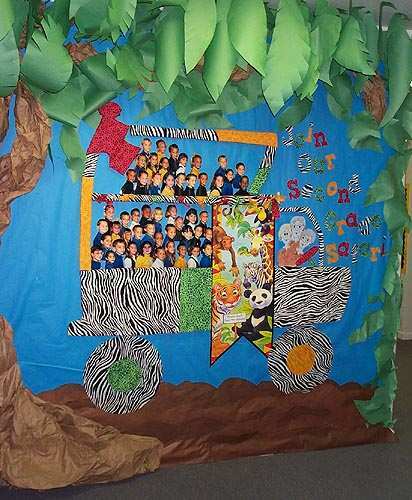 Second grade classes used a Safari theme this year. Julie, Mrs. Stigers' daughter, used her talent to make this wall for us. The banner was purchased at the teachers' store. Press "Go" to search for Safari.